If your family is a new addition, and not just one baby, but two cute and like each other's boy-twins, names for the children suggest to be puzzled in advance, at the stage of predictions or ultrasound in the first days of their lives. So, what names to give the boys-twins? Think, would you like to children to have names with one letter. After all, in school and in adult life it can cause confusion. For example, a notice came from the post office in the name with initials will make a confusion in the question about who is meant, because the initials the same. If you like this idea seems good, the call boys , for example, so – Artem and Anastasia, Dmitri and Denis, Anton and Anatoly, Ruslan and Rudolph, Marat and mark. Your boys from the first days of life demonstrate the difference in temperament and habits. Then pick them names, which are not necessarily in harmony with each other, but to emphasize their individuality: Sergei and Daniel, Theodore and Alex, Vlad and the Seraphim. Look for the famous couple and name the children as well. For example, Cyril and Methodius (the pioneer), Dmitry and Vladimir (politicians), Alexander and Nicholas (kings), Kuzma and Dmitry Minin and Pozharsky), Boris and Gleb (Prince of Kiev), Kuzma and Yarema (from Proverbs). Ideas can be gleaned from names in the field of showbiz – for example, Denis and Stas (duet "Tea together"). For names, refer to the list of Saints or spiritual teachers. For example, in baptism the sons of Masha Shukshina gave the names of Thomas (a twin) and Photios (light). Or children can be named after famous Holy Wonderworkers Cosmas and Damian – Kuzma and Demyan. What are the boys in the honor of your fathers or the men in your family who are highly respected. This tradition has lived through the ages, and most importantly, it will save you from painful searches of names. 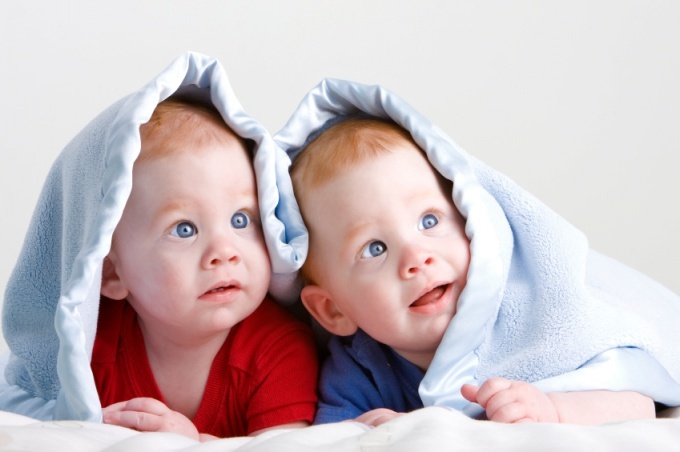 While it is not necessary that the names were phonetically consonant (such as Pasha and Sasha), because this happy, according to some parents, luck is based on nothing, but the inconvenience will bring when, for example, had not heard the beginning of the name, will respond to the two boys. Invite friends and acquaintances to participate in the selection of interesting names for your kids. The collective imagination is limitless, and you are sure to be plenty to choose from.